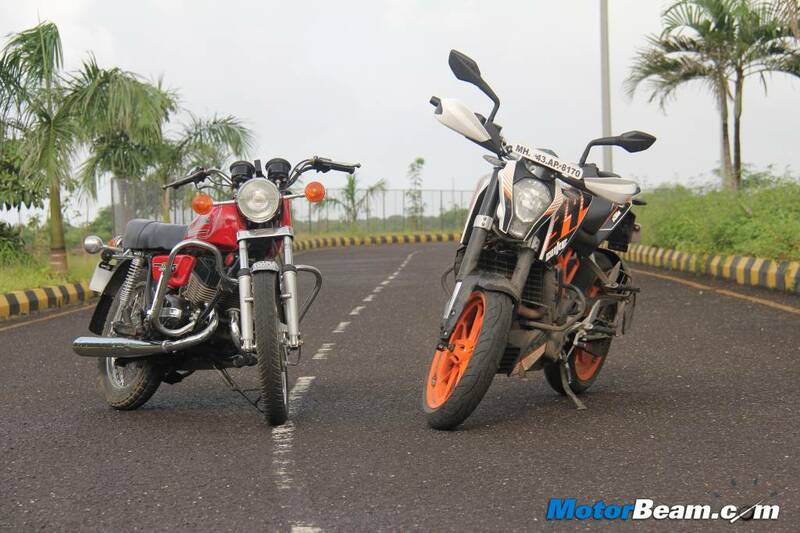 Modified Yamaha RX135 vs KTM RC390: Who wins? As you can see in the above video, multiple rounds of drag racing were held between the two motorcycles. In all the rounds, the drag-spec Yamaha RX135 is quick to establish a lead over the RC390 and maintains the lead till the finish line. You can see the RC390 achieving speeds of up to 145 kmph. However, the RX135 remains ahead of the KTM until the finish line. The KTM RC390 owner has even mentioned that his motorcycle stood ‘no chance’ in front of the RX135. However, one must keep in mind that the RX135 shown in the video is meant for drag racing only. The motorcycle is a purpose-built drag motorcycle and isn’t road legal. On the other hand, the KTM RC390 shown in the above video is a completely stock motorcycle. The KTM RC390 is powered by a 373.3cc, single-cylinder, fuel-injected petrol engine that outputs a maximum power of 43.5 PS and 36 Nm. The motor comes mated to a six-speed manual transmission. On the other hand, the Yamaha RX135 has a 132cc, 2-stroke engine that outputs 14.2 PS and 12.25 Nm. It has a kerb weight of 112 KGs, which is much lower than the 170 KGs kerb weight of the RC390. However, the RX135 shown in the video is so fast only because of the several modifications it carries. Generally, these drag-spec motorcycles have a ported and polished head, a performance-tuned custom exhaust with an expansion chamber, really slim tires, and several other performance-enhancing modifications. Also, they lose many of their original body panels to shed a lot of weight. Hence, it doesn’t surprise us to see this drag-spec RX135 totally demolishing a stock RC390 in a drag race.